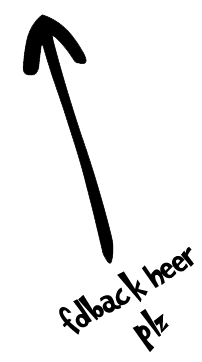 When you select an item in your closet, information about the item will be shown under the preview in the area called Selected Item. This zone will show the name of the item, zones affected, zones restricted, if it's a neocash item, estimated value, description and a picture of the item. 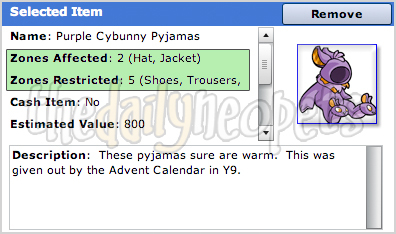 In the above screenie, you can see the amount of zones that are affected and restricted (2 are affected and 5 are restricted) for the Purple Cybunny Pyjamas. The name of zones are also listed, but only the first few are viewable. If an item has 9 restricted zones, you will have to figure some of them out because it's impossible to see the complete list on Neopets. When a zone is affected, the item will cover this area and you can't wear another item that is affecting the same zone at the same time. If your pet is wearing an item that is affecting Jacket and that you apply another item that is affecting the jacket zone, the first item will automatically be put back in your closet and your pet will wear the new item. However, different species will have different restricted zones. Indeed, some bodies have more zones than others. If you compare a Jubjub to a Grarrl, you notice that the first one is mostly just a head with feet! For customization, it means that the list of restricted zones won't be the same for all pets, depending on which zones their body have. In all cases, you will have to choose wisely which items you want to wear because of the way Neopets has zoned them. 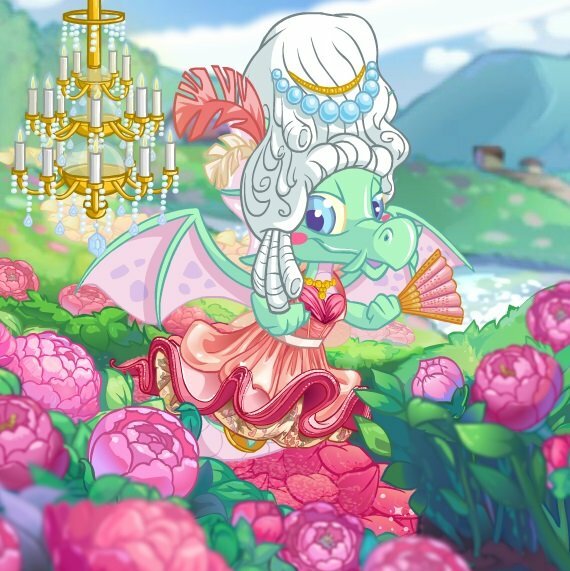 Once you get the hang of how zones work, customizing your pets becomes an addicting obsession.